I’ve prayed that prayer for him every single day this school year and this is the first time he has asked me that question. And it’s a good one…one for all of us to ask ourselves. I’m not sure if he truly understood how awesome that is, but his “Ok” told me that he at least understood a little bit. After all, he’s only almost 9 and it took me almost 40 years of my life to truly understand that. But today, at least a seed was planted. And I just pray it grows as he grows. And as life gets messy and confusing and uncertain at times, I pray that he will always know with certainty his very special purpose in this world…loving God, loving himself, and loving others…no matter what! And that will bring him contentment and even joy in all things. What a great lesson for all of us. Lord, Your greatest commandment to us is to love You with all our hearts and with all our souls and with all our minds and to love our neighbors as we love ourselves. (from Matthew 22:37-39) That is our greatest purpose in life. We can all do this no matter how old we are, what life stage we are in, or what our crazy circumstances bring. Help us to love You, love the person we see in the mirror, and love the people you have placed right in front of us. And give us wisdom to teach our kids to do the same. Here’s to building better families together! Several years ago in our family, we started The Giving Box. What is The Giving Box, you ask? I’m so glad you asked! Raise your hand if you have too much stuff. Me, me, me! It seems that no matter what I do, I just can’t keep up with all the stuff in our house. Every gift-giving holiday brings a little anxiety as we don’t have room for the stuff we already have…especially toys. We are so blessed but too many things can feel burdensome–especially when I think about those who have nothing or very little. I want our kids to understand how blessed they are. I want them also to understand that having more and more things is not what this life is about. If we have abundance or too much of something, we should give it to those who could use it or appreciate it more than we do…enter The Giving Box. Every December, we put out a Giving Box (plastic tub or laundry basket) and see how many times we can fill it with things we can donate. Last year, we filled it four times! I’m challenging my kids to fill it more times this year. always having $1 handy for the Salvation Army bell ringer. bringing a homeless man a meal. 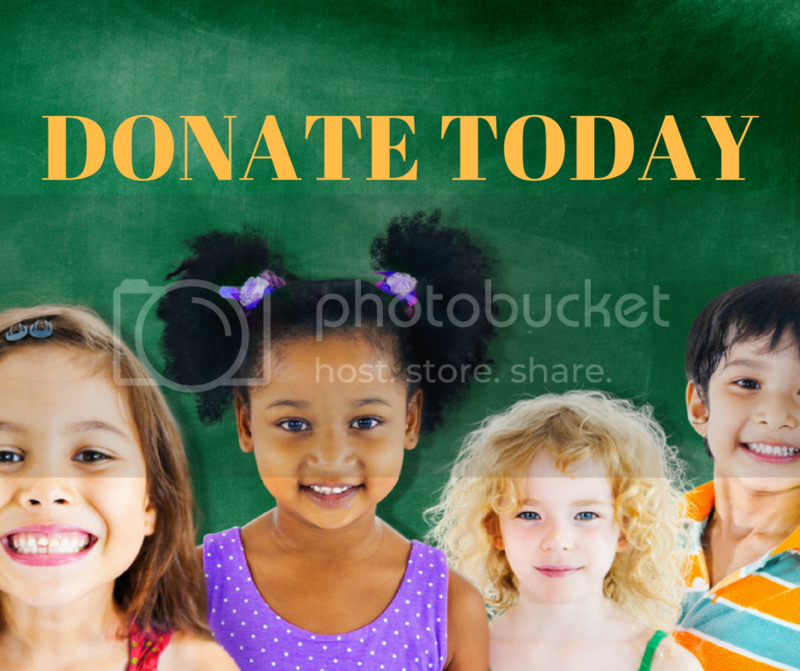 participating in toy drives, book drives, or canned food drives. bringing chicken soup to a sick friend. putting $1 in the offering plate at church. But teaching our kids to have a heart to give does take us. We have to be the ones to set the example. We have to be the ones to place an importance on giving. We have to give first and then they will follow our lead. You can work as a team with your family to teach the beauty of giving to others too. Giving is about love, thoughtfulness, and compassion. Giving is about understanding that there is a world outside of ourselves that our kids can be a part of helping. Giving is about God in motion. We are His hands and feet and so when we teach our kids to give, not only are we modeling teamwork, but we are modeling a calling to give as we are able. Bring your family together and share how blessed that you are as a family to have each other and that people are more important than things. Let them know that together, as a team/family, you are going to see how many times you can fill The Giving Box with things from around the house. Choose a local charity where you will be donating your items. Research the charity together so you know how your things are going for the greater good. Work as a team to go through every closet, every cabinet. Clean out toys, books, clothes, shoes, hats, gloves, coats, pots, pans…everything you own should be gone through! Keep track of how many times the box is filled and do a family hug each time you’ve filled it. 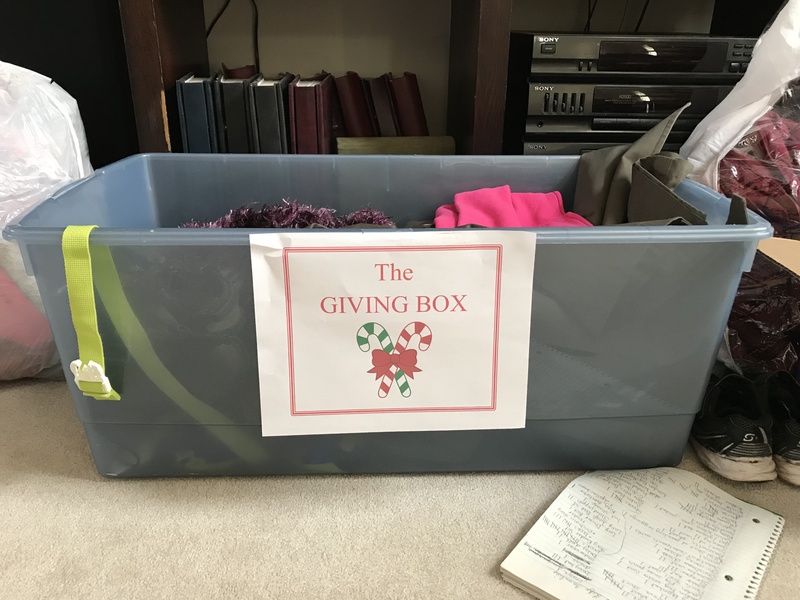 The Giving Box–what a great way to get rid of things in your home, bless others, and be blessed as you work as a team to give! Lord, you say to give as we are able. You say to give generously. Open our hearts to the ways you want us to give generously using the gifts you have given us. Show us ways we can use our time, our resources, and even our prayers to help others. And may our acts of giving reflect your light and love onto our children so that their hearts would beam with the desire to give. Kids need routine. I’m not talking about planning out every single minute of their day to the point where you rob your kids of all creativity, freedom, or spontaneity. 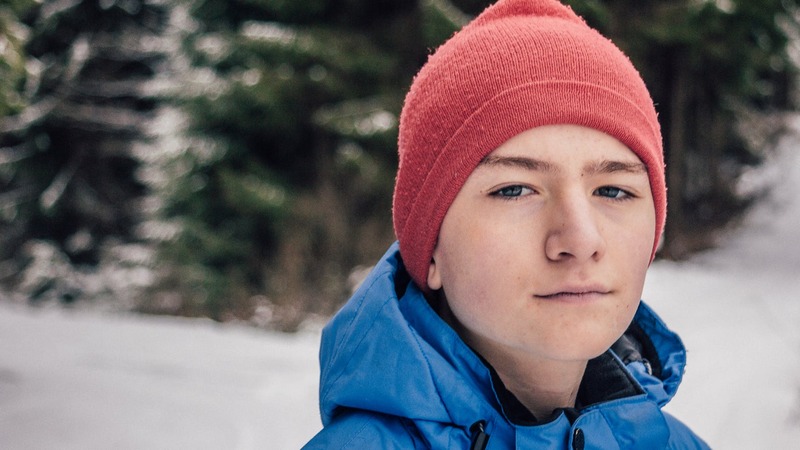 I’m talking about having a plan that kids can follow during certain times of the day in order to help them be more productive and help your life be less crazy. During the school year, it is especially important for kids to have routines. In our home, we have a morning routine, an after-school routine, and a bedtime routine. We have checklists everywhere to make sure that they know exactly what to do. Routine creates security: When we do the same things over and over in the same way, kids feel more secure. That’s why little ones ask us to read the same books over and over and over and over and over. I had Brown Bear, Brown Bear memorized because no matter how many times I read it, my kids wanted me to read it again and again. There is security in familiarity. Routines help the day become familiar. And kids become more confident when they know what to expect and when they can predict what comes next. 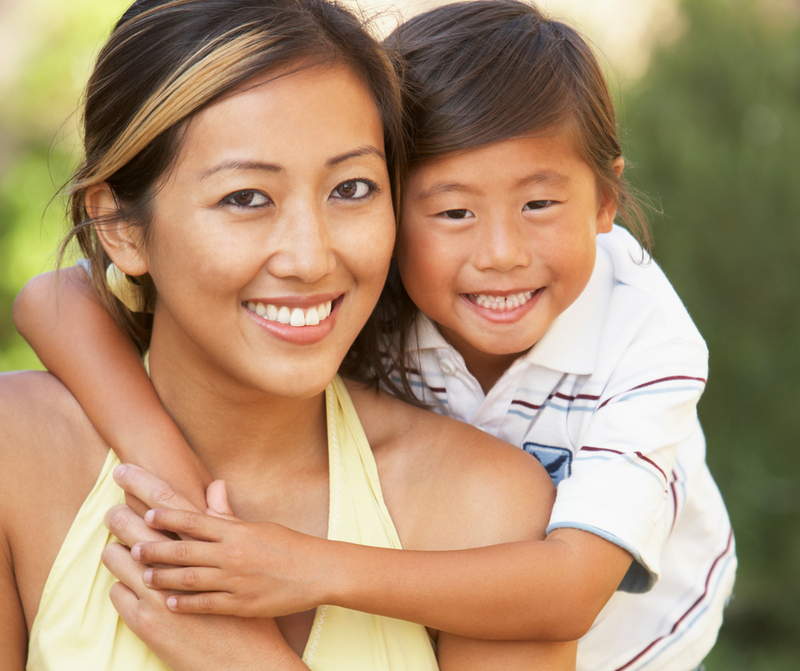 Routine encourages responsibility: It is important for kids to know what is expected of them. Whether it’s chores or homework or what they need to do at bedtime, establishing a routine allows them to take the responsibility for getting the job done. 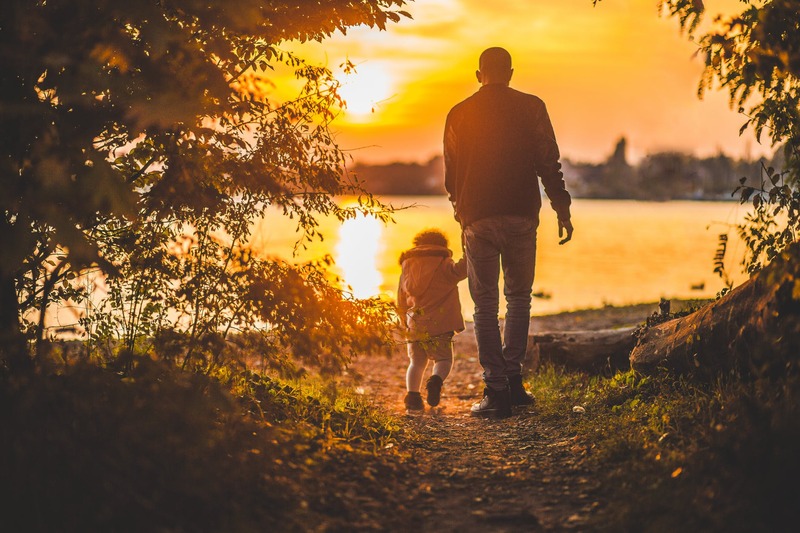 Routine fosters independence: It is not our job to do everything for our kids–after all, we do want them to grow up to be self-sufficient, responsible adults. But it is our job to teach them what to do, how to do it, and then let them go from there. We want them to eventually be able to do everything without our guidance. And routine helps. With a solid routine in place, kids feel more empowered to manage their own time and their own responsibilities. So, how do you create strong routines in your home? First of all, identify “problem” areas or times of day where your family would benefit from a routine. Write down everything that you would like for your kids to do. Create a short, simple checklist (use pictures for younger kids) to help get their routine in order. Read through the checklist with your kids to check for understanding. You can also ask them if they have anything to add (this makes them feel important getting to share their thoughts and opinions). In the beginning, have them practice going through the checklist with your guidance. Remind them to look at their checklist. “Have you done everything on your after-school checklist?” Check their “work”. Once they have learned the routine, you can give them some space. You may need to remind or encourage them every once in a while. And by the way, it’s OK to let your kids forget things from time to time–there will be natural consequences–especially when it comes to school work. Or for frequent forgetfulness, you may need to introduce a small, fair consequence to boost that responsibility factor. 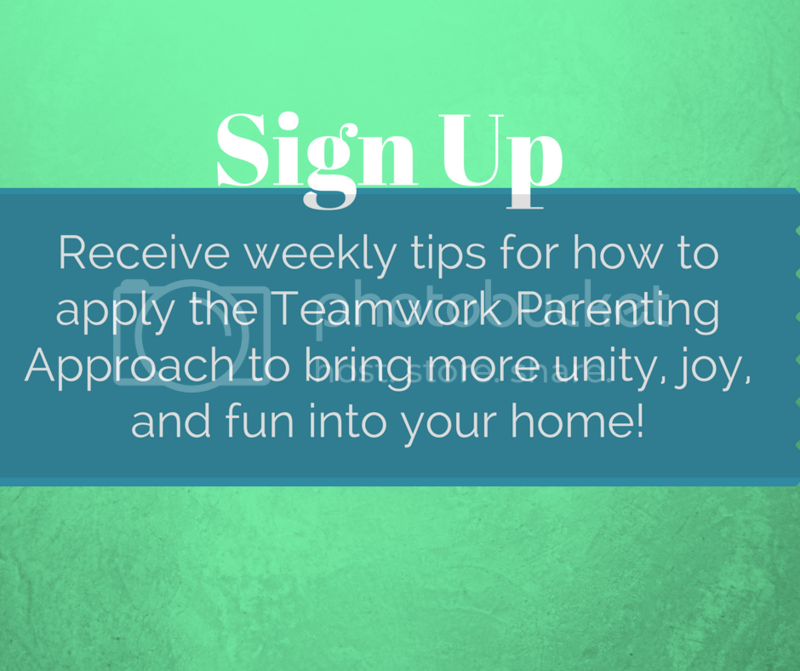 Hopefully, with practice, you will be able to watch your secure, responsible, independent children flowing through their routines and checking things off their checklists. And eventually, you will find that your kids will know their routine so well, they won’t even need the checklists anymore. And then, maybe…just maybe, you will have more time to just sit back, relax, and enjoy a brownie! 🙂 Ha. 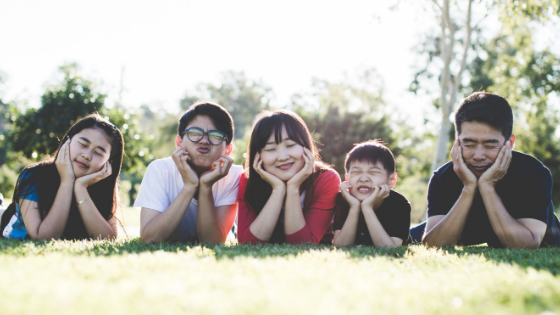 Truly, they may drive you crazy–as my kids already are and summer break has only just begun—but taking time to connect with your family and have fun together can make a big difference. 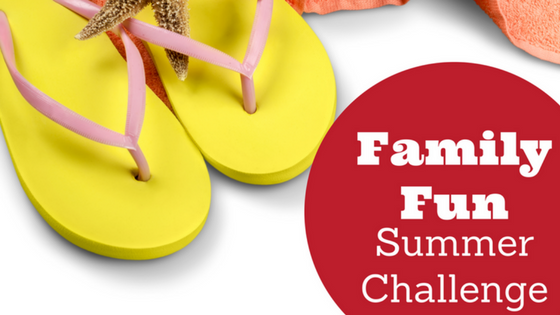 My kids love our “Family Fun Summer Surprises” as we call them. We write them on our calendar once a week and don’t even tell them anything about them. We make them wonder what we are going to do and where we are going to go. Building memories together is what it’s all about and Real Life Families wants to help your family do it too. 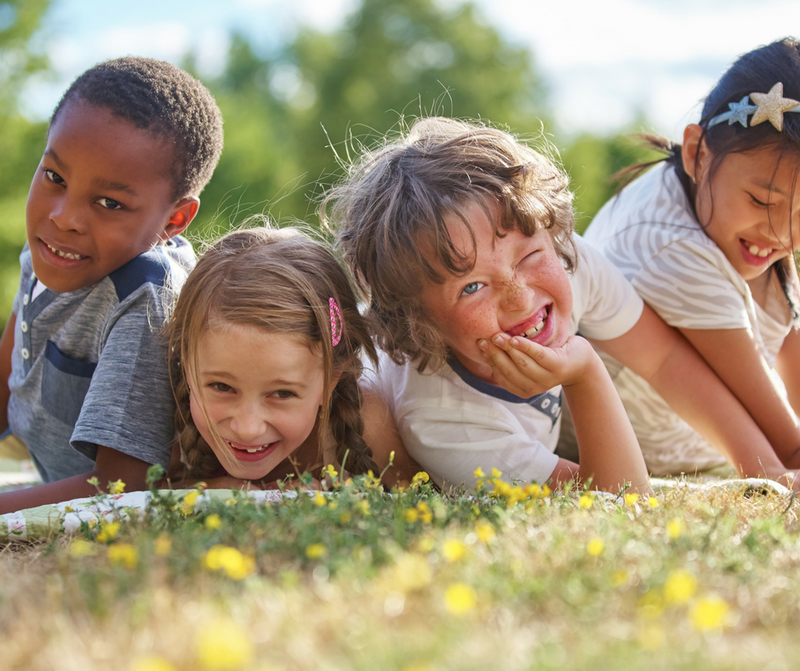 Starting June 6th, we will send you a short and sweet email once a week for 10 weeks throughout the summer with a super simple family fun idea to do each week. That’s it. 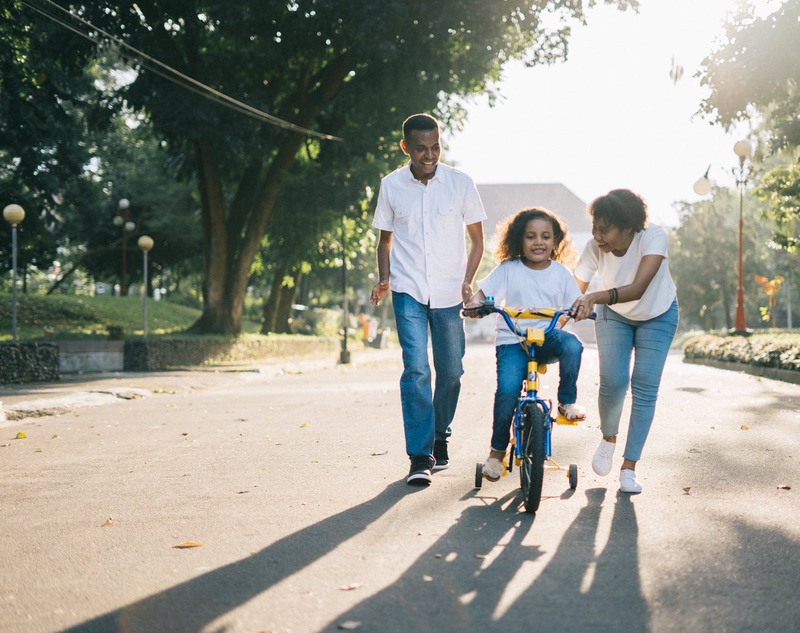 Are you ready to connect with your family this summer? Sign up for our Summer Date Night Challenge too!